Live out the magical and enchanted world of Sleeping Beauty with the captivating, beautiful Aurora. The 11 1/2-inch tall Aurora Basic Fashion Doll features beloved Aurora in her light blue gown with golden floral accents placed throughout her silhouette and detailed sash. 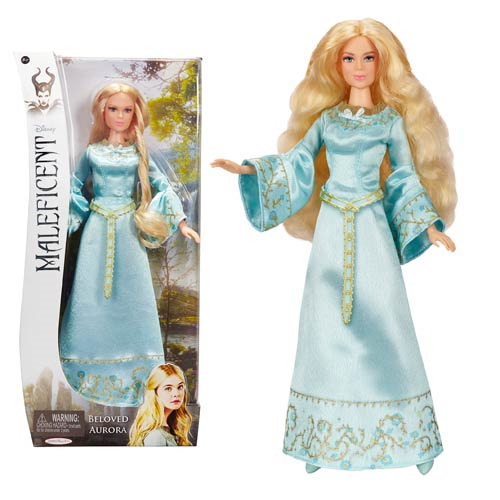 This doll has a true-to-character look and feel inspired by Disney's Maleficent.